Bovey Castle is a stunning, dog-friendly country house hotel set within 275 acres of beautiful Devon countryside in Dartmoor National Park. The hotel has been awarded five Red Stars from the AA for its exceptional hospitality – the highest accolade and only given to the most outstanding hotels. 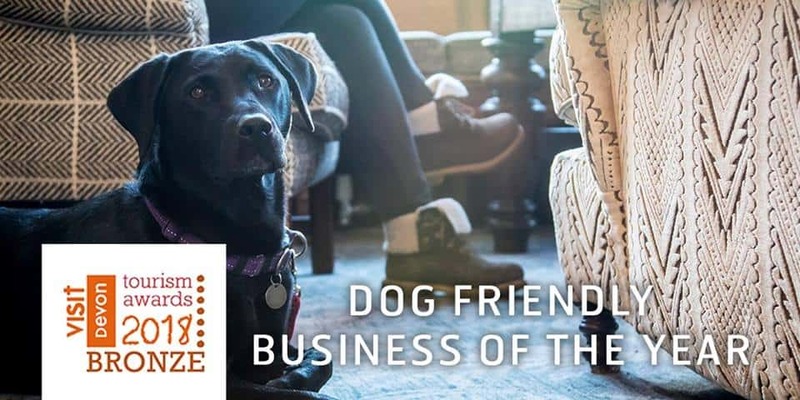 Whilst incredibly elegant, the hotel enjoys a relaxed atmosphere and is incredibly dog friendly allowing you and your canine companion to enjoy a bit of down time together and soak up the outstanding service and stunning scenery. The hotel boasts sixty individually-designed bedrooms along with twenty two, three-storey self-catering country lodges nestled within the castle grounds – perfect for a countryside escape or a relaxing family holiday. Shaded by woodland and bordered by lakes these lodges provide the perfect sanctuary for a dog-friendly getaway. During your stay at Bovey Castle, why not treat yourself to a pamper session in our beautiful Elan Spa, where you can escape the hustle and bustle of everyday life, or enjoy a spot of fine dining in one of our award winning restaurants.